At the Garioch Dental Practice all of our dentists are able to provide routine dental treatments to cater for everyone’s needs. These treatments are provided to prevent and treat common oral diseases such as tooth decay and gum disease. Through regular routine dental care we hope to prevent the development of oral problams and to deal with them effectively if they do occur. We actively encourage patients to attend the practice at least twice yearly so dental problems can be dealt with at an early stage. Alongside regular dental health examinations we feel it is vitally important to attend for regular dental hygiene sessions. These can often be either incorporated into your dental health examination appointment or can be arranged for a separate visit. Routine dental examinations are the most common general dental service provided. All patients are encouraged to attend twice yearly for their dental health check. 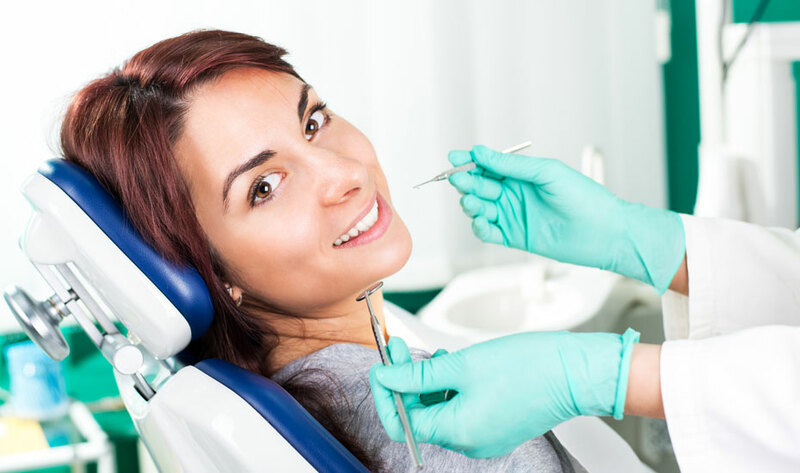 At this visit your dentist will examine your teeth, gums and surrounding soft tissues. This examination will also include screening for early signs of oral cancer. As almost all dental diseases can be prevented, routine dental examinations are a very important aspect of preventative dentistry. Early diagnosis of problems can greatly reduce the amount of dental treatment needed and increase the lifespan of your dentition. Early intervention is key. We strive to not only treat dental problems, but try to prevent them from occurring in the first instance. The sooner preventative dentistry is started in life, the better. To establish a good routine from an early age we would actively encourage adult patients to bring in young children with them when they attend for examination. This will help establish a good relationship between the dentist and your child. They will become accustomed to the smells and sounds of the dental practice, greatly improving their compliance with dental care in later years. As a private practice member we will happily provide NHS care for your child up to the age of 18. After this age we will continue to see your child but on a private basis only. Gingivitis: Gingivitis is characterised by inflammation and bleeding of the gum tissues and is often directly related to plaque and tartar deposits. Gingivitis is a reversible condition which can be resolved through dental hygiene therapy alongside improved oral hygiene techniques. If left untreated gingivitis can progress to Periodontitis. Periodontitis: Periodontitis is characterised by localised destruction of the supporting tissues of the teeth. Both soft and hard tissues are affected often resulting in tooth mobility and eventual loss. Unfortunately, due to the nature of the disease, the effects of Periodontitis are irreversible. We can however limit future disease progression to help improve the lifespan of the tooth/teeth affected. This will often involve an intensive course of hygiene therapy alongside improved oral hygiene practices and regular future maintenance hygienist appointments. Garioch Dental Practice places great importance on maintaining healthy gums. Hygienist appointments are an essential part of the routine care of all patients. As such, we recommend all of our adult patients receive hygiene therapy at least every six months. Our normal hygienist appointments last approximately 30 minutes. During this appointment our resident hygienist will complete the required hygiene therapy. After cleaning your teeth you will then be given advice concerning proper cleaning techniques to help you maintain healthy gums. If the hygienist feels you will benefit from more regular appointments you will be advised of this and given the opportunity to arrange these further visits. This term commonly refers to fillings made out of a composite resin material. These fillings provide good aesthetic results and are often indistinguishable from the natural tooth colour. This is of particular importance to people who are conscious about the way they look and don’t want silver fillings to show when they smile. Modern composite resin materials are often as durable and long lasting as their amalgam counterparts. The life expectancy of a white filling can depend greatly on position within the mouth and how heavily your teeth come together. The cost of a white filling is usually determined by size and position within the mouth. A guide to white filling costs can be found in our comprehensive fee guide. Silver fillings are made from a metal alloy, with the primary constituents being mercury and silver. Other metals are also found in dental amalgam in small amounts. Amalgam fillings are renowned for their durability and long life span. They are sometimes the preferred choice of restorative material for certain types of filling. Due to the materials mercury content, some people have concerns regarding it’s adverse effects on health. Many studies have been completed into the effects of dental amalgam on health and no definite link has ever been established between amalgam and certain health problems. With this in mind, dental amalgam is still routinely used as a restorative material. The cost of an amalgam filling is usually lower than that of a white filling due to material costs and the surgery time involved in their placemen. A full price list for amalgam fillings is found in our fee guide. As a patient of Garioch Dental Practice you can rest assured in the knowledge that we use only the best restorative materials available. We strive to provide pain free dental treatment and, as such, most fillings will be completed with the use of a local anaesthetic agent. If your dentist feels that the filling can be carried out, pain free, without anaesthetic this will be discussed with you at the treatment planning stage. As with any treatment carried out in the practice you will be fully informed of your options, and the respective costs, before treatment commences. A dental crown, or “cap” as it is sometimes know, is an artificial restoration often used to repair teeth that are broken or have been weakened by decay. They are also commonly used to improve teeth with very large or unsightly fillings. All Ceramic:As the name implies, all ceramic crowns are made completely of dental ceramic and are completely free of metal. Modern all ceramic crowns have very good strength and appearance characteristics. These crowns are very natural looking and can be used in all areas of the mouth. They can be colour matched to your natural teeth to provide an extremely good cosmetic result. Porcelain Bonded:These crowns are constructed with a metal base which sits against the underlying tooth structure. Porcelain is then fused to the metal base in layers to improve the appearance of the restoration. Porcelain bonded crowns have very good strength characteristics making them ideal for restoration of back teeth. Although cosmetically they look good, a better aesthetic result can be achieved with an all-ceramic crown. Metal Crowns:Metal crowns are most commonly made from a gold alloy. These crowns are very strong and have a long lifespan but are often overlooked due to their poor appearance. If patients feel functionality is more important than appearance, these crowns are the ideal solution. All crowns provided by our dental practice are manufactured using the best available materials and are manufactured to exact specifications. Your dentist can provide further information regarding crown types available and their respective advantages and disadvantages. Costs will always be discussed before proceeding with treatment. Bridges are a type of dental restoration used to replace one or more missing teeth. They are an alternative option to dentures and dental implants. Commonly, a dental bridge is constructed by putting crowns onto the teeth either side of the space to be filled. These crowns are joined by an artificial tooth/teeth. Other, more conservative, bridge designs are also available which help to reduce the damage caused to the teeth adjacent to the gap during the preparation process. The materials used in the construction of dental bridges are identical to those used in the manufacture of crowns. From a patients’ perspective, the procedures and steps involved in the fabrication process are identical to those in the crown procedure. The lifespan of a dental bridge is often determined by many factors including the size of the gap to be bridged, the materials used in fabrication and how well they are cared for by the patient. An estimated life expectancy would be anywhere between 5 and 20 years. Prices of bridgework are also often determined by the materials chosen and also the design of the bridge. Prices can be seen in our fee schedule. Root canal treatment, or endodontic treatment as it is sometimes called, is a procedure used to treat infection in the centre of a tooth. This infection is caused by bacteria which have invaded the root canal system of the tooth. Bacterial invasion of the root canal network can occur due to tooth decay, tooth damage resulting from trauma or old fillings that are leaking at the edges. The root canal system contains the dental pulp which is a soft tissue composed of blood vessels and nerve fibres. When bacteria invade the pulp tissues they multiply and migrate down the root canal system, eventually emerging into the tissues surrounding the tooth. This is often how a dental abscess forms and the process can be very painful for the patient. To treat the infection in the pulp tissues the bacteria need to be removed. This can only be accomplished by two methods, root canal treatment or tooth extraction. After all the dead pulp tissue and bacteria have been removed, the root canal system is filled and the tooth sealed with either a filling or a crown. Root canal treatments are usually carried out over 2 visits, often requiring about 2 hours of time in the dental surgery. With the use of modern techniques the procedure should be painless. Success rates for root canal procedures are in the region of 90%, i.e. 90% of root treated teeth will last at least 5 years without any further problems. Prices for root canal treatments vary greatly and are often determined by the type of tooth being treated and the severity of the initial infection. Premolar and molar teeth typically have 2 or 3 root canals respectively and as such are more time consuming and difficult to treat. A full price list can be found in our fee guide. As with all treatments we provide, you will be fully informed of your treatment options and their respective costs to allow you to make a fully informed decision regarding your treatment needs. Dentures are removable false teeth used to replace missing natural teeth. The fit snugly over the gum tissue and help to improve appearance and reduce the problems posed when eating and speaking. Dentures can be used to replace either all of the teeth in a jaw (full-dentures), or just some of the teeth (partial dentures). Dentures can be made completely of acrylic resin or can be made from a Cobalt-Chrome metal skeleton with the teeth set in gum-coloured acrylic. Dentures can be made with light coloured teeth all perfectly aligned or can be made with more natural characteristics such as uneven teeth, stained teeth or gaps between teeth. We can create high quality dentures, personalised to the individual patient. Great care is taken in the making of dentures to ensure they are comfortable, functional and that they look good. Denture prices are dependent on the type of materials used in their construction and the number of teeth on the denture. For a full price list please see our comprehensive fee guide. To arrange an appointment either phone the practice on 0146762411 or fill in our online booking form. A dental implant consists of a titanium metal screw which is placed into the jawbone. They act like an artificial tooth root and are used to support one or more false teeth. They are an alternative option to both dentures and dental bridge work to replace missing teeth. Over the space of several months the metal implant will fuse solidly with the jawbone, fixing it firmly in place. Implants can be used to replace any number of teeth. It is possible to replace a single tooth and implants can also be used to replace a whole set of teeth. Crowns, bridges and dentures can all be attached to dental implants. Dental implants offer a wide range of benefits. Unlike conventional teeth, they do not compromise adjacent natural teeth. If used in combination with dentures they can help hold the denture firmly in position without the need for denture adhesives. Dental implants are not directly placed at the Garioch Dental Practice. All of our patients are referred to an experienced local practitioner for implant placement. After successful placement of the implant your dentist at the Garioch Dental Practice will be responsible for restoration of the implant i.e. provision of the crown/bridge/denture that fixes onto the metal implant. All appointments will be arranged for you at convenient times to suit your needs. The process is easy and hassle free. An initial implant consultation/assessment fee with Dr Douglas Forest will apply. This fee of £100 will be payable when your appointment is arranged. This initial fee will however be deducted from your treatment costs should you wish to proceed with treatment. Full implant costs can be seen in our comprehensive fee guide. Should you require any further information please contact the practice on 01467 62411 or alternatively speak to your dentist at your next visit. As a patient of the practice you can rest assured that all dental emergencies will be dealt with promptly and efficiently. We have daily emergency spaces set aside to be used only on the day. Even in the unusual event that all of these spaces have been taken we will endeavour to create space somewhere to see you. Out of regular practice hours, phone our practice on 01467 624 111, and you will get the contact number of the dentist on call.